Playgrounds should be some of the safest spaces in New York City as they are constructed with the safety of kids in mind but unfortunately accidents on NYC playgrounds are all too common. From 2005 to 2014 alone playground-related claims have risen more than 53 percent. 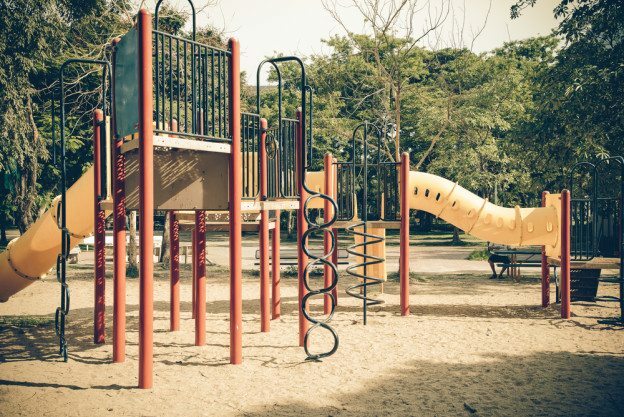 Believe it or not, it’s not the older playgrounds that are causing all the problems. The two most dangerous parks in New York are Evelyn’s Playground and Slope Park. Evelyn’s Playground in Union Square Park is a top-of-the-line playground, but 11 children and one parent have been injured there so far. Slope Park in Brooklyn reopened in 2013 after a renovation. Seven children fractured their legs on a swing there just months later. In many cases, a third party is to blame for playground accidents. If another child pushed your child off a slide and your child suffered a broken arm as a result, the other child’s parents could be held liable. As noted above, poor maintenance is the cause of playground injuries. The city has a duty to maintain the park and fix any issues that can cause injury to guests. If a dangerous condition exists and is not fixed promptly, the city can be held liable for acting negligently. A slip and fall at a park or playground can cause serious injuries to your child. Broken bones, head trauma and back injuries are just some of the medical issues you may need to deal with. Make sure you get the compensation you deserve to pay for damages. Call the Law Office of Jeffrey K. Kestenbaum at (718) 237-5586 to set up a consultation with an experienced premises liability lawyer.